An exhaustive study of the influence of ceramic glass material composition on the environmental impact has been performed. In order to perform a more accurate calculation of the environmental impact a life cycle assessment (LCA) was implemented using real material composition of ceramic glasses. Employing a sequential X-rays Fluorescence spectrometer, the composition of several ceramic glasses were analyzed, as this information is not published by the manufacturers. The environmental impact results of each ceramic glass were surveyed using EcoInvent v3.4 data, and SimaPro 8.4 software, following ReCiPe Endpoint and Carbon Footprint methodologies. The importance of considering the composition on the LCA is shown, establishing significant differences among the analyzed glasses. Few variations in the quantity of material composition generate high differences on the environmental impact values, demonstrating the high influence of the material composition on the environmental impact. Elements such as tin, lithium, and titanium are the ones that generate the highest contribution on the environmental impact. In contrast, silica sand shows the lowest impact in both methodologies despite it supposes between 58% and 63% of their compositions. Others such as barite and magnesium, together with neodymium emerged in the composition of the studied ceramic glasses as they are considered Critical Raw Materials by the European Union, due to their supply risk and economic importance. 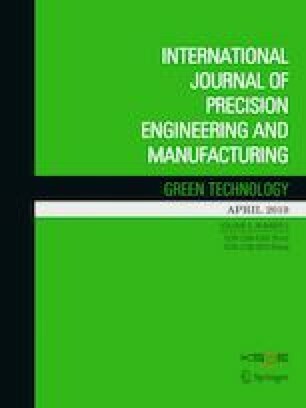 The study presented in this paper has been partially supported by the Spanish MINECO under Project RETO RTC-2014-1847-6, and has been performed by members of the I + AITIIP (DGA-T08_17R) research group of the FEDER 2014–2020 “Construyendo Europa desde Aragón” program, recognized by the Regional Government of Aragon. European Commission. (2017). “6th EU-US-Japan Trilateral Conference on Critical Materials. http://ec.europa.eu/growth/content/6th-eu-us-japan-trilateral-conference-critical-materials-0_en. Accessed 23 Jan 2019. METI. (2018). “The 8th trilateral EU-US-Japan conference on critical materials held. http://www.meti.go.jp/english/press/2018/1206_001.html. Accessed 23 Jan 2019. ThermoFisher Scientific. (2013). Research X-Ray Fluorescence and Diffraction. https://www.thermofisher.com/search/browse/category/es/es/602533;jsessionid=8EC50137B8D1D8E486F15F9B63A82076?navId=11035&resultPage=2&resultsPerPage=15. Accessed 01 Jan 2018. ThermoFisher Scientific. (2013). Software UniQuant para análisis XRF sin patrones. http://www.thermofisher.com/order/catalog/product/IQLAAHGABUFABXMATU. Accessed 01 Jan 2018.